If you are feeling pain in your eyes, the problem is clearly visible that this condition is due to the long time working on the computer or working outside in a polluted environment. Eye infection may occur after suffering from this condition and thus this eye infection can cause eye pain. Eye is therefore one of the most important, sensitive and precious organs so nobody wants to take any risk when it comes to the eye health. Even mild pain becomes a big problem. It has been estimated from the American Academy of Opthalmology that eye pain is a physical discomfort when it has any injury or infection. Eye pain is also called as opthalmalgia, can be divided into two categories – ocular pain and orbital pain, depends upon at which place, you are experiencing the pain. Ocular pain occurs on the surface of the eye and due to which you would feel scratchy, burning sensations. Such type of eye pain is from the foreign particles in the eye, conjunctivitis, contact lenses, corneal abrasion, blepharitis or a sty. Orbital pain occurs deep inside the eyes and you would feel your eyes achy, stabbing or throbbing. Such type of eye pain is due to the glaucoma, optic neuritis, migraines, penetrating injuries, sinusitis, etc. When there is a little issue with the eyes, so the pain goes off itself and it does not need any kind of mild or severe treatment. You can try some home remedies that are totally natural without any side effects. If you feel that your eye contain any kind of foreign particle that is the reason of eye pain, try to blink your eyes, which is the best exercise for this purpose. Regular blinking the eyes helps in improving the flow of tears along with the foreign object come out of the eyes. It also improves blood circulation and reduces the strain. Fully close your eyes and count to 2. Squeeze the eyelids together then again count to 2. Open your eyes finally and count to 2. Repeat the procedure few times until you get relief from the pain. Another remedy for eye pain is flushing the eye with saline water. When you enter the home after exposure to the foreign body or chemical, it is necessary to wash your eyes with lukewarm distilled water or a saline solution. Flushing helps in clearing the chemicals from your eye; in turn it reduces the pain. Mix 1/4 tsp of salt into 1 cup of distilled water. Boil the solution and allow it to cool. Use this solution to flush your affected eye. Do this treatment two times a day. Apply cold compress over the eye to get instant relief from the eye pain and itchiness that is due to some kind of allergic reactions. Soak a cotton cloth in ice cold water, wring out the excess and place it over your eyes. Remove it after 5 minutes and repeat for few more times. Another option is to wrap some ice cubes in a clean cotton towel. Place it on your eyelids then remove after 10 minutes. Repeat 3 times. Warm compress is also important for this purpose if you have blepharitis or a sty that are responsible for causing the eye pain. Warm compress will clear the clogged oil gland or hair follicle along with speeding up the healing process. Dip a soft cloth in warm water then squeeze out the excess moisture. Relax for some time and breathe gradually for 1 minute. Use this remedy for 2 times a day. If your eyes are causing pain while working for long hours on laptop or computer, you should do massage therapy. Massage helps in dealing with the pain caused by the migraine. Rub the lukewarm olive oil on your palms. With the help of your fingers, massage the eyelids and muscles above the eyebrows for 10 seconds. Massage your lower eyelids against the lower bones for 10 seconds. Finally, massage the temples and upper cheekbones for 10 seconds. Do this for 2 times a day. 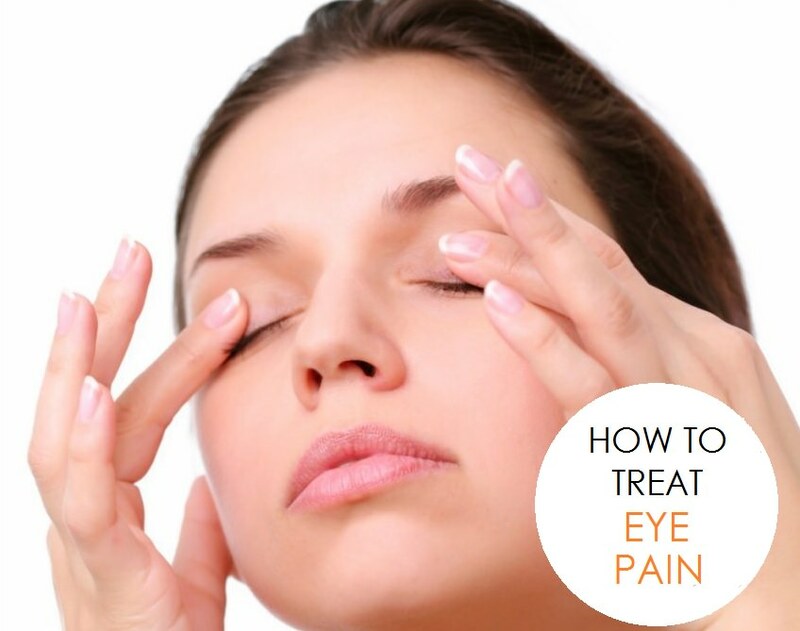 Palming is a simple method to relax strained and painful eyes. It is beneficial at the time when your eyes are tired after reading books or spending much time in front of your desktop screen or television. Sit straight in a comfortable position. Place your warm palms over your closes eyelids, do not apply too much pressure. Relax and leave in the darkness for at least 30 seconds. Now open your eyes slowly and look around. Repeat the method for 5 times at one sitting. When there is an eye infection, you can opt for the herbal treatments so here is nothing better than eyebright method. According to the study in 2007 in the Journal of Alternative and Complementary Medicine, euphrasia single-dose eye drops is very effective for certain conjunctival conditions. Simmer at least 1 tsp of eyebright herb in 1 cup of water for 10 minutes. Allow this to cool then strain the solution using a cheese cloth. Use this solution to wash your eyes whenever you need. Repeat the process for 2 times a day. Optionally, you can use homeopathy euphrasia 10% eye drops in order to get relief from the inflammation and irritation. Put one drop in each of the eye for few times daily until you notice the infection is now cleared. Rose water is an old-age remedy that everyone knows about its benefits that how powerful it is when it comes to eye pain, soreness and tiredness. Rose water contains antiseptic properties which is good to treat various types of eye infections. A 2010 study published in Opthalmology and Eye Diseases have found that when rose water is used as a drops getting into the eye, it helps in treating the conjunctivitis because it has antiseptic and analgesic properties. Put at least 2 drops of rose water in your eyes with the help of a dropper. Do this for two times a day. Alternatively, you can mix 4 drops of rose water in some distilled water, use this solution to rinse your eyes few times a day. Colloidal silver is used for prompt action against eye infection, viral infection which leads to pain and irritation. Colloidal silver has tiny silver particles suspend with the water to help remove the infected cells. These infected cells are sent into the bloodstream to be eliminated. That is the reason why commercial eye drops contain colloidal silver as one of the main ingredients. Use this two times a day until the infection is cleared. You should take proper care of your eyes to avoid any kind of infection or eye pain. 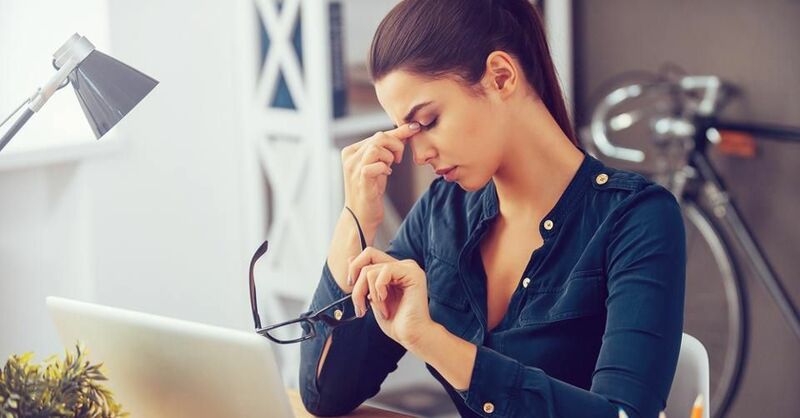 Spending long time on watching television or staring constantly on a computer screen can cause eye pain so in this case, you should take frequent breaks. While working in a dusty environment, wear goggles to protect your eyes from dust. Wear safety glasses while playing sports, like basketball, racquetball and tennis. When using chemicals, like ammonia, cleaning fluids and detergents, keep these harsh chemicals away from your eyes. Make sure you do not rub the eyes when you feel foreign object in your eyes. Use the remedies immediately to remove it. For mild cases, stop working what you are doing. Just close your eyes and let them rest for a while. You can use antibacterial drops to treat the eye infections like conjunctivitis and corneal abrasions. Get enough sleep. Sleep is most important to give rest to your eyes to avoid pain and strain. Wear sunglasses when exposing to the sun during the day. Get your eyes regularly checks from an eye specialist. If the eye pain persist for a long time, you must consult your doctor.